We bring about actual changes in behaviour in both the shorter and longer term. We bring about actual changes in behaviour, in both the shorter and longer term. Training is an effective way of teaching people a particular skill or changing dysfunctional patterns of behaviour and conduct in a group of people. Learning with and from each other means you can both improve your efficiency and find it more enjoyable to work together. 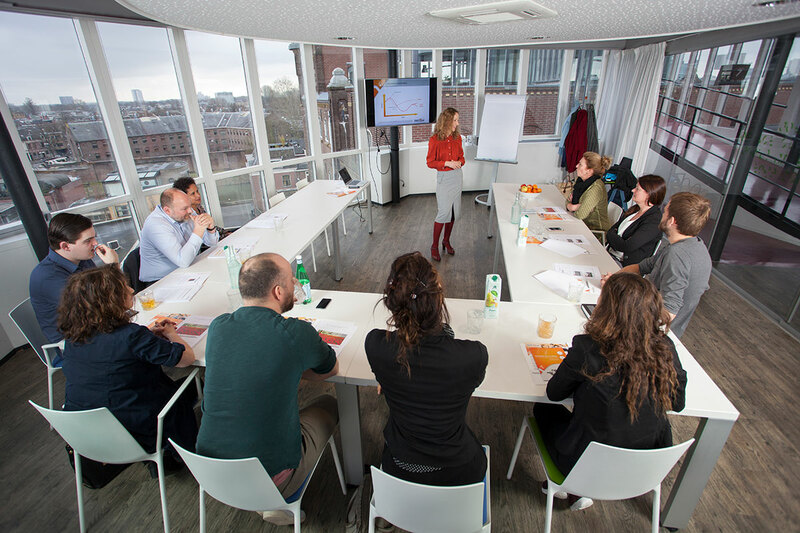 At Human Perspective, the form and content of our training programmes are very varied, because each team, organisation and problem is unique. We possess extensive knowledge of and experience with a range of methods which means that we can deploy precisely those that are most appropriate in any given situation, taking the long term into account. After all, it is of crucial importance that key learnings make a lasting impression on the participants, and that the momentum that has been created as a result, is maintained. A key feature of our training programmes is that they encourage an atmosphere where participants can discuss issues openly and where the main focus is on enjoying the processes of learning together and making progress together. Human Perspective helps organisations to solve personnel and work-related issues, to implement chosen problem-solving approaches and to direct change processes.